Lawsuits in the crypto-space seem to be the flavor of the month. Last week, we saw a Twitter user launch an initiative to sue the Bitcoin.com website, a domain which, according to numerous Bitcoin proponents, fraudulently sold Bitcoin Cash (BCH) by misleading users into believing that it was Bitcoin (BTC). This week, legal action is being sought after Ripple. This news comes only days after Ryan Zagone, the Director of Regulatory Relations at the company, sat on a panel in the UK to discuss blockchain technology with ministers alongside other experts. Whilst the discussion was surprisingly optimistic in regards to its forward-looking stance on the use of distributed ledgers in the broader fintech scene, Ripple came under scrutiny as MPs tried to establish a link between Ripple, the company, and Ripple (or XRP), the currency – noting that the purchase of XRP does not grant investors any stake in the company. The lawsuit that surfaced on Thursday was issued by California-based firm Taylor-Copeland, and names Ryan Coffey as the plaintiff, acting on behalf of anyone having lost money by purchasing XRP. It takes aim at Ripple Labs, Inc. and the Bitlicense-compliant XRP II, LLC. (which handles sales of XRP to institutional investors), as well as CEO Brad Garlinghouse. The document details Coffey’s ordeal in purchasing Ripple. He bought 650 XRP in early January 2018, when it traded for $2.60 apiece and sold it two weeks later when the value dropped to $1.70 – resulting in a loss of a whopping $585. The lawsuit claims that the defendants’ sale of XRP constitutes an unregistered security offering under the California Corporations Code and the US’s Securities Act. 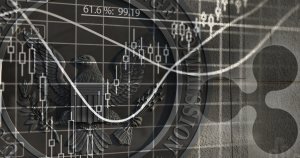 Although the action might be construed as bitter backlash from a trader mistiming the market, it does raise some compelling points. It describes Ripple as being engaged in a “never-ending ICO,” calling into question its method of distributing currency: the most popular cryptocurrency models have traditionally relied on a Proof-of-Work model for generating this, whereby significant expenditure is required on a miner’s part to validate the network. For dedicating hardware and electricity to securing the blockchain, they are rewarded in transaction fees/block rewards. Ripple, on the other hand, does away with this concept, having premined its 100 billion tokens prior to its launch, with the bulk (80%) held by Ripple Labs, and the remainder held by its founders. A portion of Ripple Labs’ holdings have been sold off since 2013 to fund the company’s research and activities (with a marked spike in sales in 2017-2018). Related Article: Is Ripple Classified as a Security Under U.S. Law? It’s been pointed out that despite the suite of so-called ‘Ripple Enterprise Solutions’ (products like xCurrent and xRapid) the company offer, their primary source of income has always been the sale of XRP, both on a large scale to institutions, and to individuals via cryptocurrency exchanges. Coffey’s complaint further draws on a number of occasions where entities with controlling interests in Ripple Labs have gone on to hype XRP across social media and news websites. One detail that people have articulated in the past is Ripple’s conflation of its enterprise software (which doesn’t necessitate the use of XRP at all) with the adoption of the currency. Profit arises solely from the efforts of a third party or promoter. According to Coffey, the sale of XRP satisfies all of these. There’s no question as to the involvement of Ripple in the dissemination of XRP. It will be interesting to see what comes of this (especially at a time when many believe that Ethereum, too, may be branded as a security by the SEC). The outcome of this case will be a landmark decision for the future of cryptocurrency, whether it opens the floodgates to increased scrutiny, or continues to allow unregulated activity in the crypto-space. Disclaimer: Our writers' opinions are solely their own and do not reflect the opinion of CryptoSlate. None of the information you read on CryptoSlate should be taken as investment advice. Buying and trading cryptocurrencies should be considered a high-risk activity. Please do your own due diligence before making any investment decisions. Finally, CryptoSlate takes no responsibility should you lose money trading cryptocurrencies.